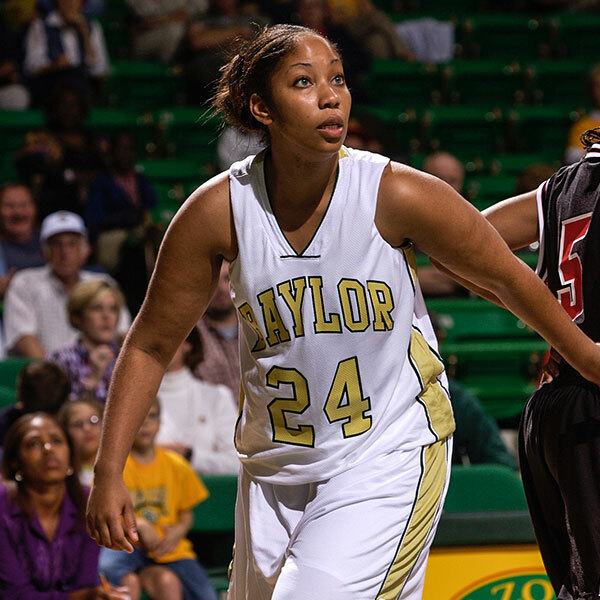 Tiffanie Blackmon-Jones, who earned three letters as a member of the Baylor women’s basketball team, repeatedly vowed she would never make education her career. Her father was a teacher and coach, and her mother was a school secretary—both in the Dallas area. “I always said, ‘I’ll never teach, I’ll never coach, I’ll never do that,’” Blackmon-Jones says. Within a few years after earning a journalism degree from Baylor, she found herself eating those words. Nonetheless, the career course redirection reflected something she learned while at Baylor: Always be ready. Blackmon-Jones initially dabbled in the media world, interning at Waco’s KWTX-TV before a one-year stint as features reporter for Virginia’s Richmond Times-Dispatch. She returned to Texas, where she became a community reporter and editor for the Lewisville Leader. One year later, Blackmon-Jones was hired at Naaman Forest High School in the Garland Independent School District. She spent five years in Garland ISD as a girls basketball coach and a speech communications teacher. While working in Garland ISD, Blackmon-Jones met her husband Javelo, an educator who she refers to as the best math teacher she knows. They have two sons: Armad, 7, and Ali, 5. In 2013, Blackmon-Jones stepped away from the classroom and the gym, but not away from education. She joined Dallas ISD as internal communications specialist and was named communications coordinator and project manager three years later. While working for Dallas ISD, Blackmon-Jones earned a master’s degree in strategic communication and leadership from Seton Hall. In 2017, she was named DeSoto ISD director of communications and marketing, the position she currently holds. Blackmon-Jones, whose twin sister Steffanie was also a member of the Lady Bears basketball team, says the energy and culture she found at Baylor made it the place to be. She began Baylor with the desire to become a businesswoman, but her love of storytelling eventually led her to journalism. Blackmon-Jones says playing for Baylor head coach Kim Mulkey helped her be able to recognize organizational structure, leadership and followership. “Those things have translated across the different work I’ve done,” Blackmon-Jones says. “Being someone that comes off the bench, you learn how to be a good follower, how to support your teammates. You learn to be agile in the sense that when your name is called, you rise to the occasion, and you’re ready to go.